Built circa 1880, the Sheets Building at 20 E. William St. in downtown Delaware dodge a demolition proposal last year. On Wednesday, the Delaware Historic Preservation Commission was again presented with plans for the building to be razed, this time to make way for a welcome center. The Delaware Historic Preservation Commission discussed a concept review of a proposed City of Delaware Welcome Center at Wednesday’s meeting. Under the proposal, the Sheets Building at 20 E. William St. in downtown Delaware would be razed to clear the way for the welcome center. 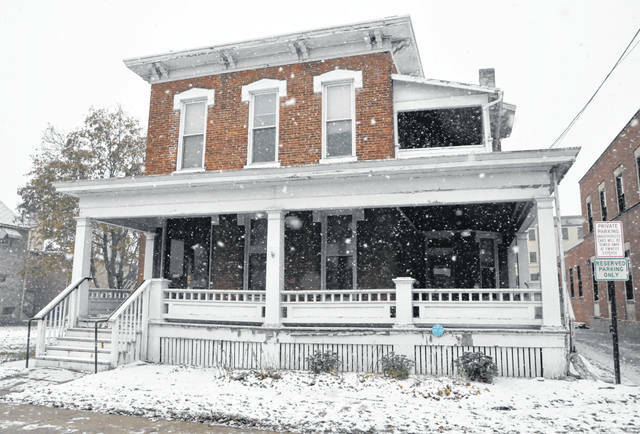 The building, which is more than 130 years old, is not included on the National Register of Historic Places, and it lies outside the Sandusky Street Historic District. As the concept is currently presented, the welcome center would add an additional 11 parking spots on the site, increasing the total to 31. In addition to the increased parking, public restrooms, a digital interactive wayfinding map, an arch similar to the Bun’s arch, and a walking path between the welcome center and the City Hall and City Hall Annex buildings are also included. Assistant City Manager Jackie Walker said the block where the welcome center would be constructed is “really taking off” with the reconstruction of the former Gazette building, which is currently being renovated to become both additional office space for the city and a community working space. Walker said that after the first of the year, the city would use a “citizen engagement tool” to ask citizens what features they would like to see out of a potential welcome center. The document added that the building would require upwards of $200,000 in repairs to make it useful again, and any repurposing would only create an additional need for downtown parking, which is already a top concern for the city. Walked clarified the proposal was more than just a parking lot, pointing out public restrooms are something the city hears about often from residents. HPC Chairman Mark Hatten failed to see how this proposal is any different than what was ultimately withdrawn last year. “To me, you’ve just kind of polished this up a little bit, put some lipstick on it, called it something else, and brought it back in front of us,” Hatten said. Hatten went on to say tearing down the building would eliminate the possibility of potential income from the location if it were to be redeveloped into some type of business. HPC member Stephanie VanGundy, a real estate agent, stated she could “see a lot of interest in the building,” saying a lot of residents are looking for downtown investments. The building has sat vacant for more than three years now, last being used as city office space in 2015. Because the meeting was simply a conceptual review of the proposal, meant to garner feedback and discussion, there were no votes on the plan.